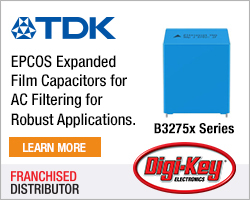 Knowles Precision Devices (KPD) has increased production of its Syfer AEC-Q200 series MLCC capacitors. 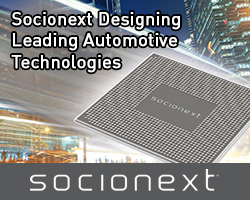 Explaining that automotive is one of the strongest growing markets for electronic components worldwide. Knowles says that AEC-Q200 compliant components are consistently being designed into automotive systems such as electric vehicle (EV) power train and battery management, infotainment, engine control, air bags and lighting applications. The demand for off-the-shelf, yet highly rugged devices is expanding and, in many cases outstripping, supply. Knowles reports that the Syfer AEC-Q200 series of MLCC capacitors has had a range extension increasing the available working voltage from 2kV up to a maximum of 4kV. Designed for EV applications where ever higher voltages are needed, but where a margin for derating has to be accommodated, the capacitors are particularly suitable for power train use, such as battery management and inverters. 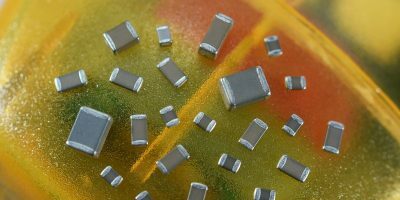 Available in X7R dielectric, and with capacitance up to 22nF, they join the existing Syfer AEC-Q200 qualified MLCC capacitors and complement the AEC-Q200-qualified components KPD offers. 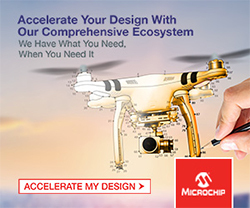 They are supplied with KPD’s lead-free, RoHS and REACH-compliant, FlexiCap termination for crack prevention and high number thermal cycle withstand. For those automotive applications that require High Q, low loss MLCC’s the Syfer X8G HighQ series now also has AEC-Q200 qualification. These low ESR HighQ parts are manufactured with a copper electrode for optimum performance at high frequencies and are rated to work over the temperature range -55 to +150 degrees C. The capacitance range of 0.3 to 100pF is covered, with rated voltages up to 500V. Target applications include networking and Wi-Fi, as well as use in safety systems such as radar. They are also supplied with lead-free RoHS and REACH compliant termination options.